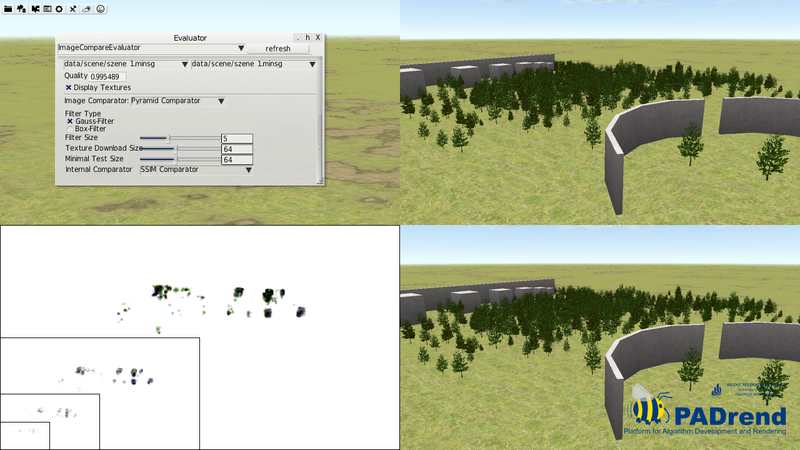 Screen shot of the image comparison feature inside PADrend. 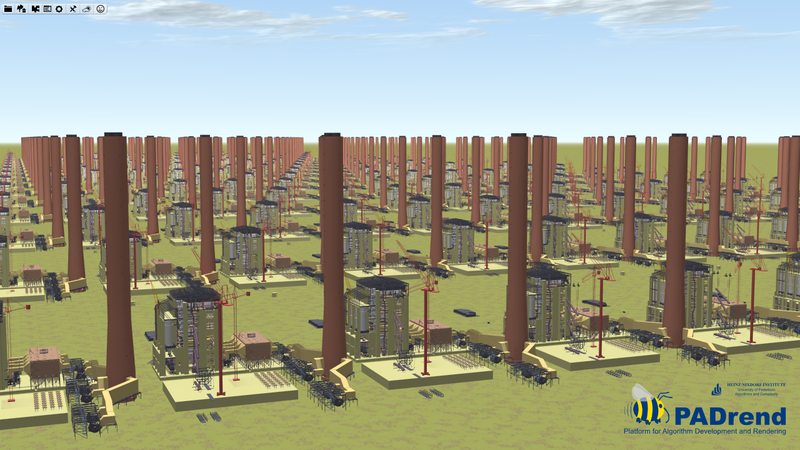 Screen shot of a 3D rendering of 256 Power Plant models with Spherical Visibility Sampling. 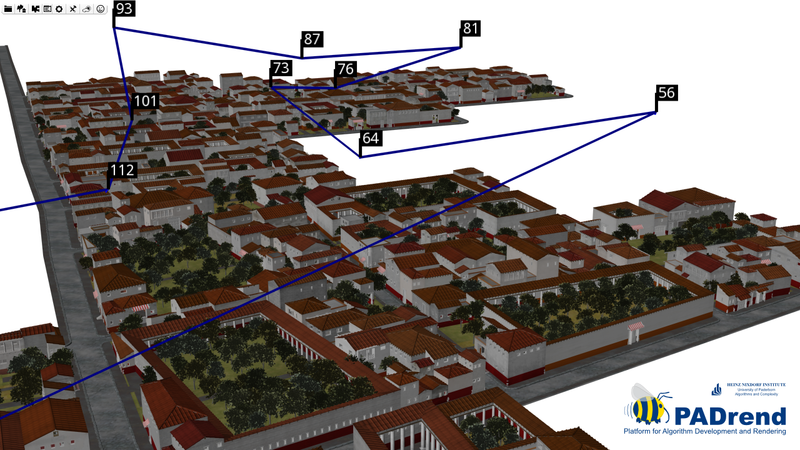 Screen shot of a 3D rendering of Pompeii and a camera path. 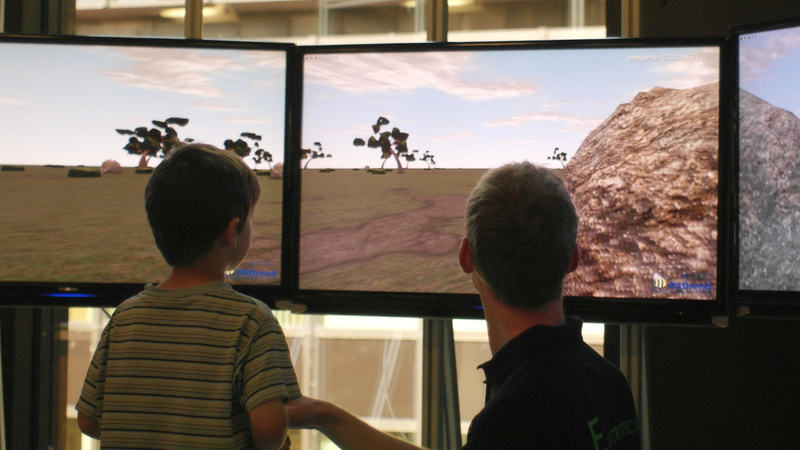 Photo of the PADrend booth during the Maus Türöffner-Tag 2011. 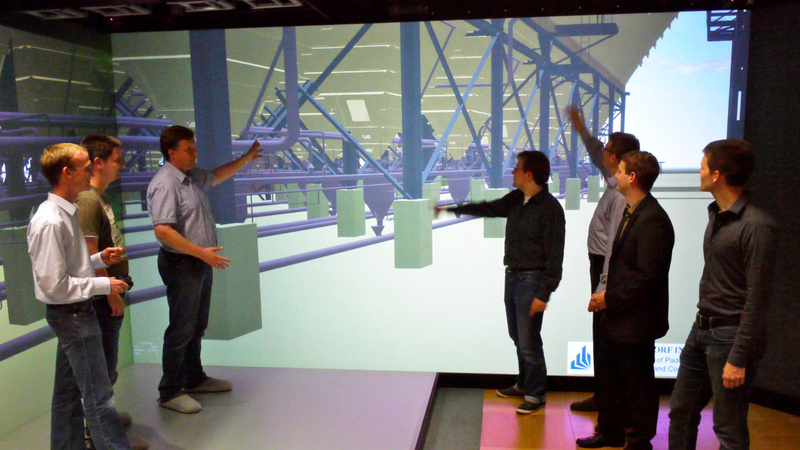 Photo of PADrend used in the HD visualization center in 2012. 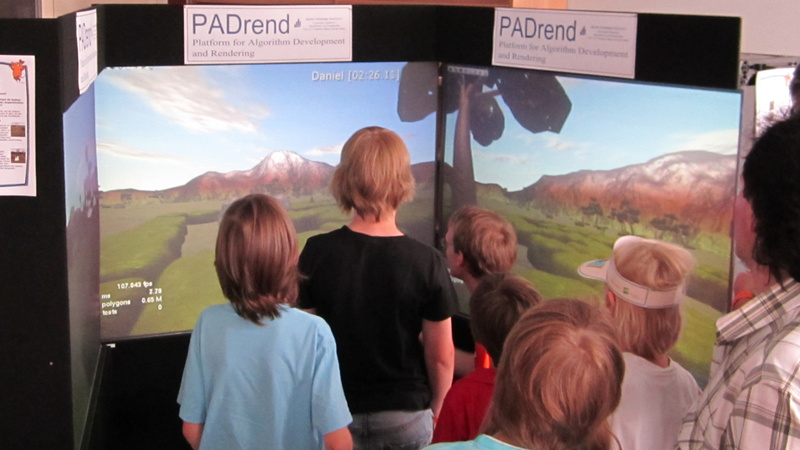 Photo of the PADrend booth during the Paderborner Wissenschaftstage 2013.